Kooks Headers uses only the best materials for their stainless steel long tube headers. The headers are made of 304 grade stainless steel in 16 and 18 gauge and the flange is 3/8" thick. 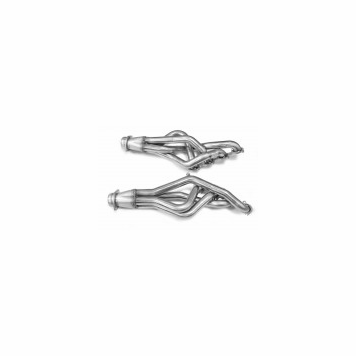 The oxygen bungs are stainless as well and the entire assembly is welded with stainless wire. 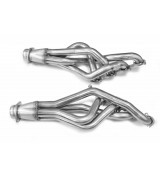 The entire product line of stainless steel headers come with a Lifetime Warranty for the original owner and no coating is necessary as these headers are really built to last. Use drop down menu above to add a mid pipe to your order. There are off road, catted and green catted options for the x-pipe and h-pipe variations. The x-pipe and h-pipe are available in 3”x2 .5” which connects to a factory OEM connection point. The x-pipe and h-pipe are also available in 3”x3” which connects to a aftermarket 3” collector connection point.